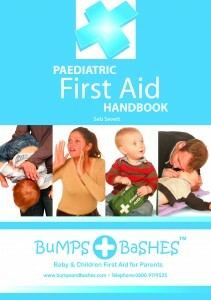 Bumps and Bashes Children & Baby First Aid Courses help you learn what to do in those vital minutes, whilst the emergency services are on their way. Our courses cover emergency First Aid for all your family, from birth upwards. Congratulations! You must be looking for the best for your child and we aim to offer just that. We are the leading independent children and baby first aid providers for parents in the North West and our standards are very high. Rest assured all our trainers are Fully Qualified and will be happy to show our certifications on request. In just a morning, afternoon or evening Bumps and Bashes first aid classes ensure that you’ll get the vital skills which could save your child’s life. First aid is not expensive, but it is priceless if needed and we’ll make sure you understand and make it easy for you to remember, should you ever need it in an emergency. See what others say about our course. We keep numbers small in our open classes so you get individual attention. Or why not organise a home class for all the family?